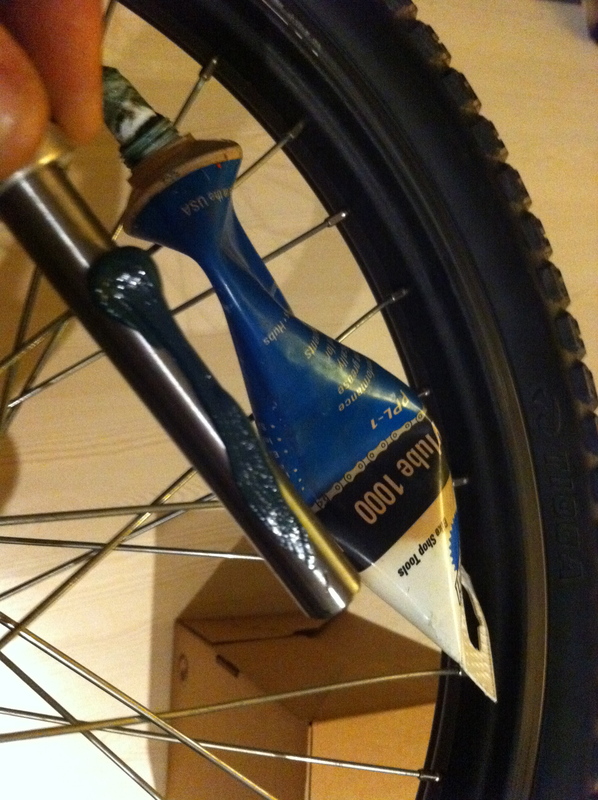 OK so I’ve had some play in my Bullseye hubs on the Quadangle for a while now, and I thought I’d show people how to replace the axles and bearings at home with some simple tools. Here we go. 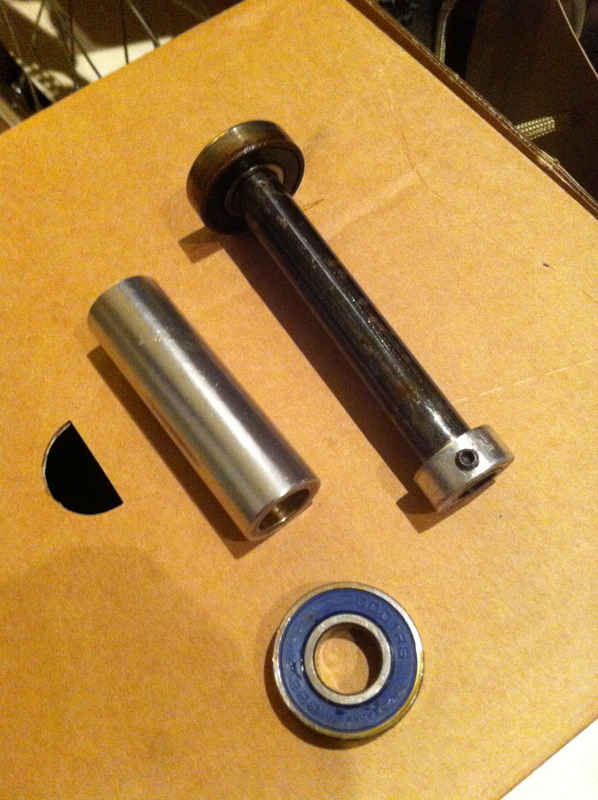 I made this jig to press the new bearings in place, basically a long bolt with washers and nuts on both ends. 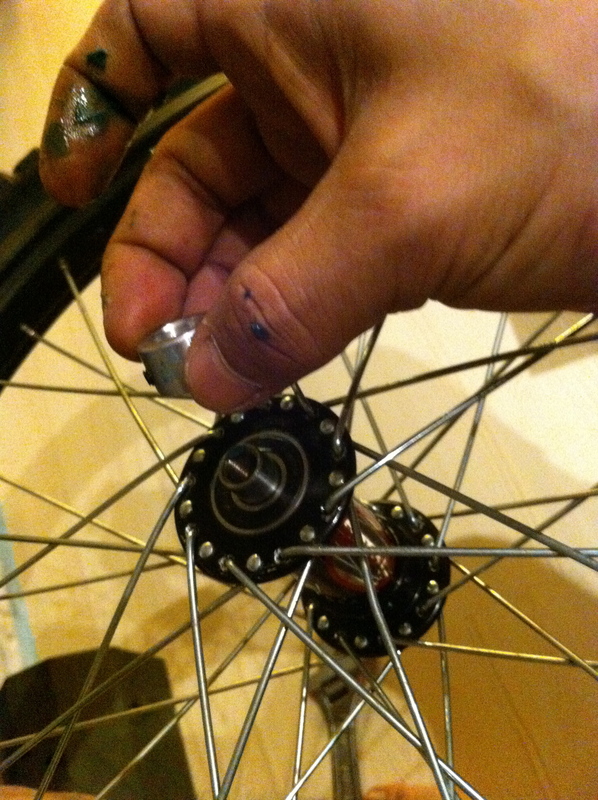 Lube the inner cups of the hubs with some grease, and lightly press the bearings in place with your fingers, make sure you remember the inner spacer! 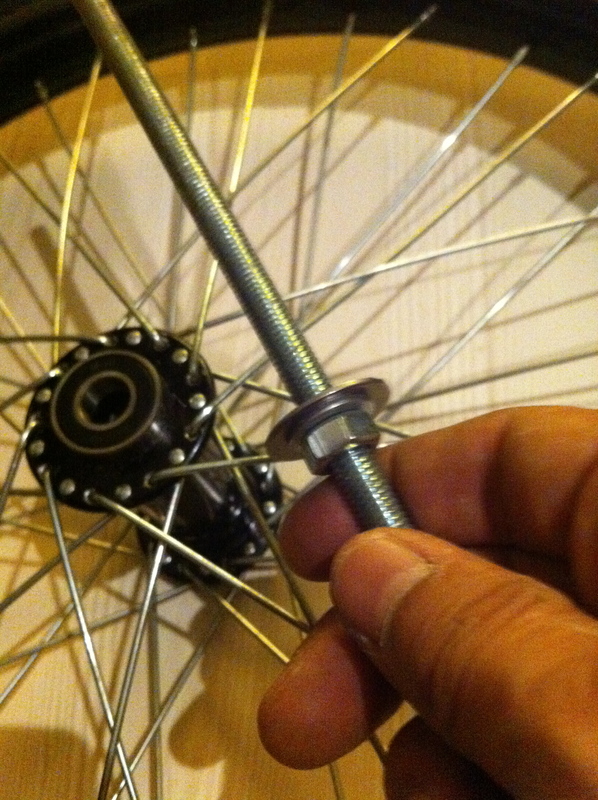 Then slide the jig into the hub and screw the washer and bolts on the other side..
Start tightening the bolt and make sure the bearings are flush to the hub at all times, and not being forced in at an angle, they should go in without using too much force. 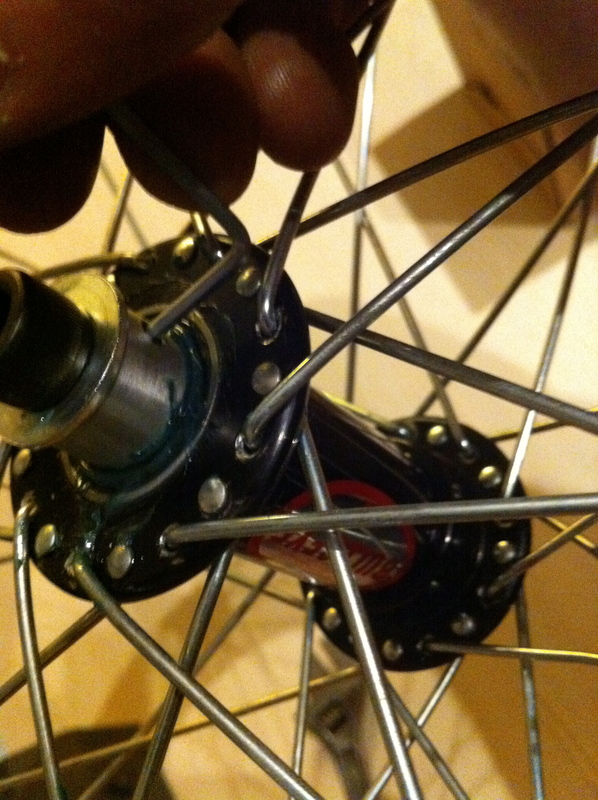 Once you get the new bearings fit nice and snug, remove the jig and washers..
next lube the new axle and slide into the hub with new bearings. 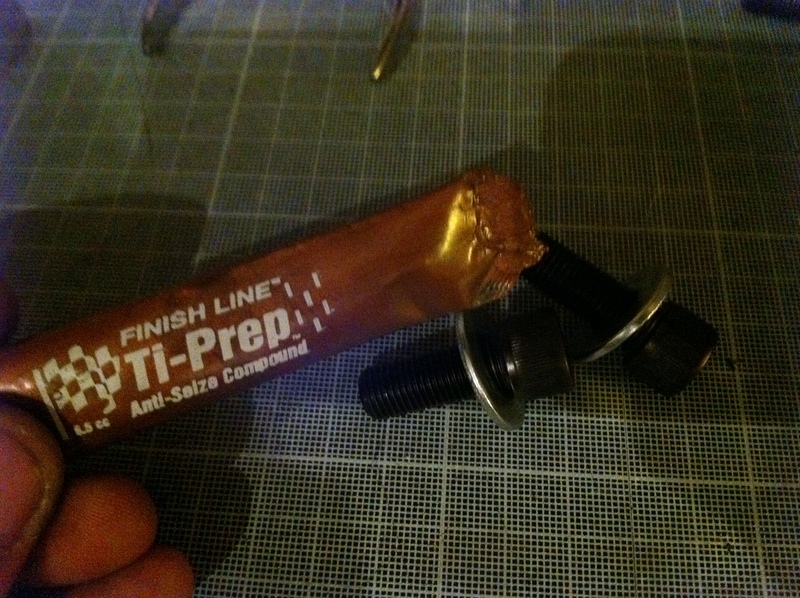 Here comes the tricky part, loosen both the lock nuts on the spacers and slide them onto the new axle, you need to balance both sides so they are about even. 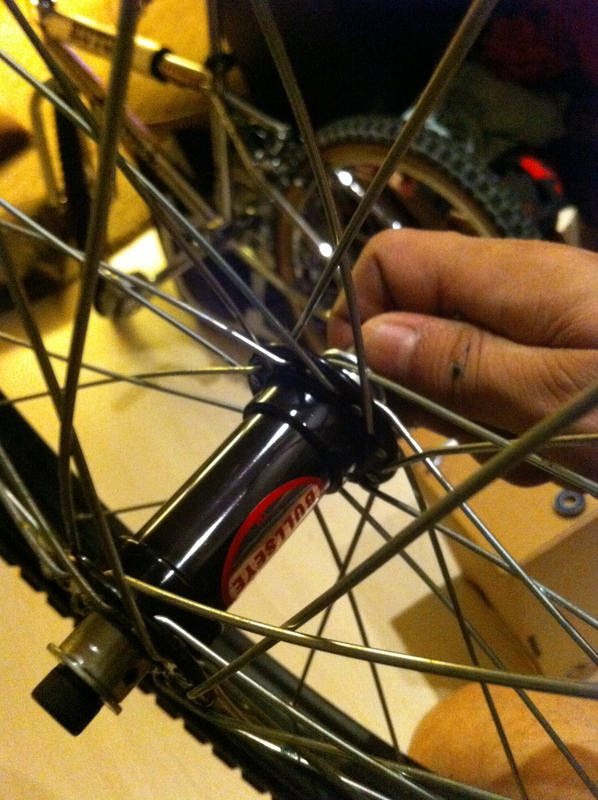 Hand tighten the bolts with the washers to the axle, still with the lock nuts LOOSE on the spacer colar. Bolt the wheel back on and you’re done! 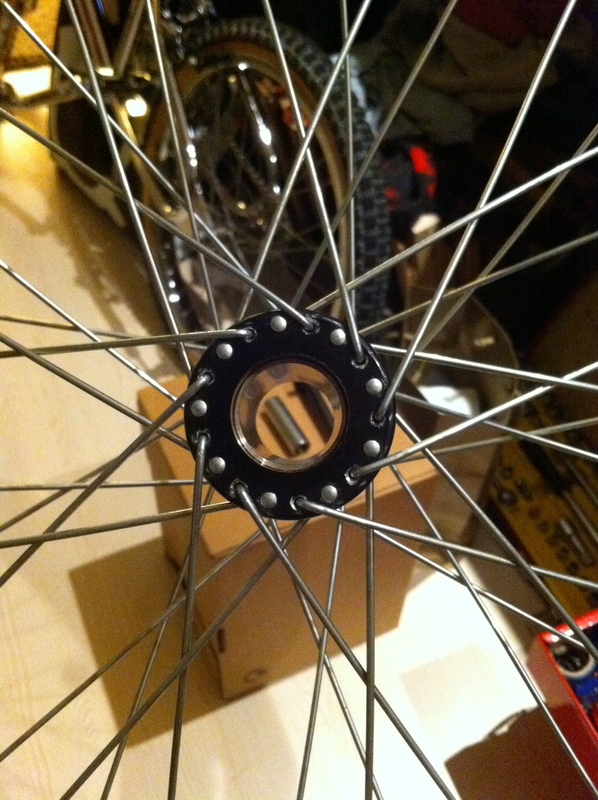 Same goes with the rear just make sure you have your spacer collars on the right way. 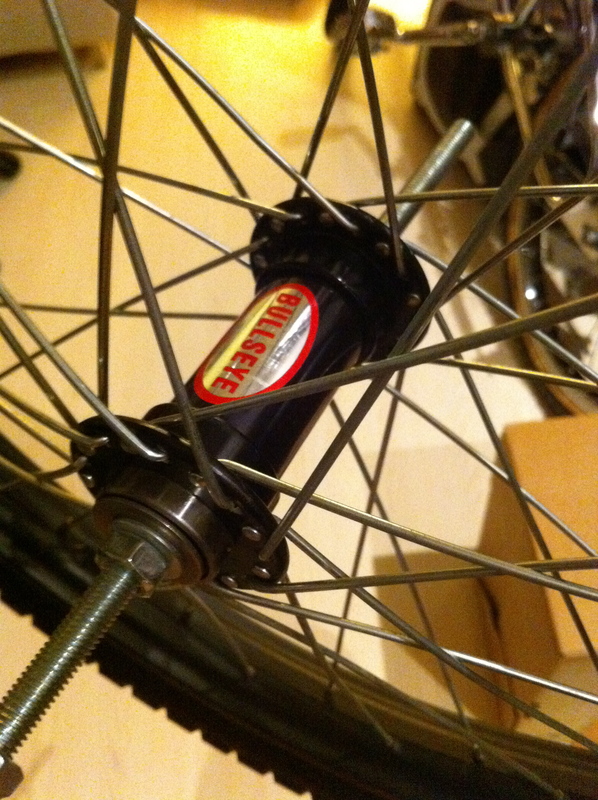 ie long spacer on non drive side, short spacer on freewheel side. 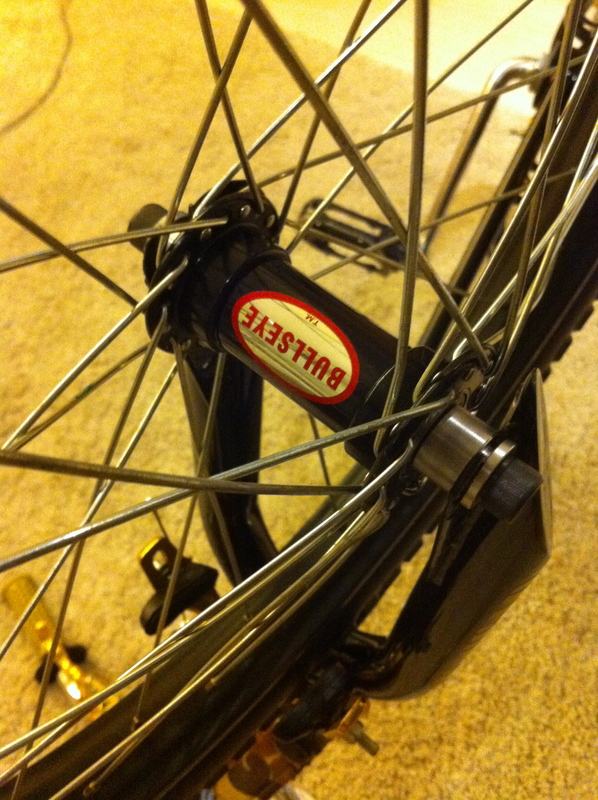 This entry was posted in Lifestyle, OT and tagged axles, Bearings, BMX, Bullseye, Hubs, Old School, replacement. Bookmark the permalink. 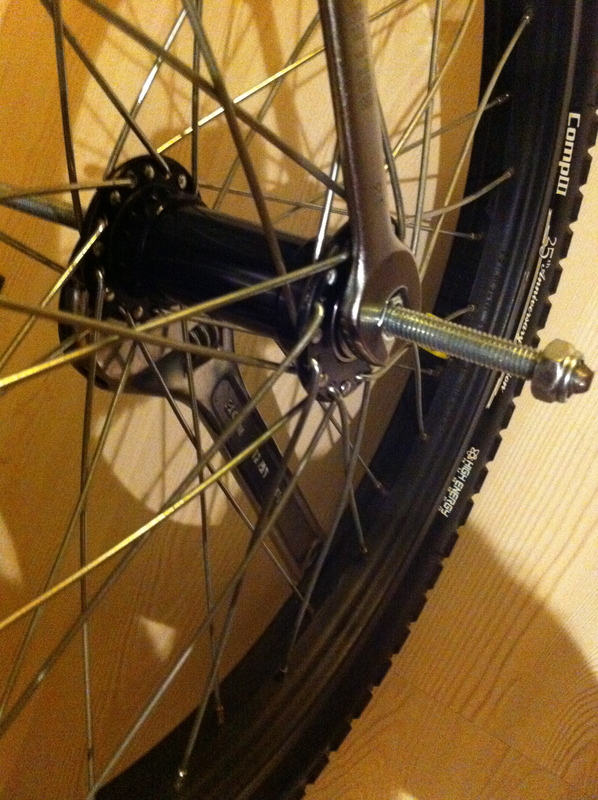 Where can I get replacement axles and collars for bullseye hubs? I need a set or two BADLY! Let me know! Thanks a ton! Thanks! You have been most helpful! 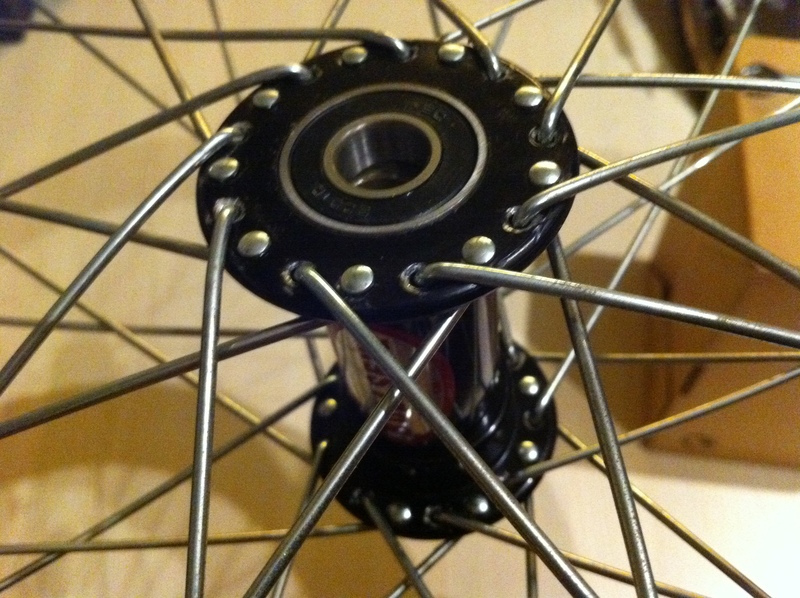 bullseye hubs anyone know where I can get just these w/o having to buy the whole kit?